In 2016, Conrad Anker suffered a heart attack at 20,000 feet. The legendary mountaineer was halfway up his second attempt at climbing the 22,660-foot Lunag Ri with Austrian climber David Lama when he noticed the typical symptoms of a heart attack: tight chest, trouble breathing, general weakness, reports TGR. Of course, on a climb of this magnitude, those feelings are pretty standard, but Anker immediately knew something was actually wrong. The team rappelled back to base camp, and Anker was evacuated by helicopter to undergo surgery to save his life. Then, stuck in basecamp alone, Lama decided to do the unthinkable. He set out to climb the mountain alone. 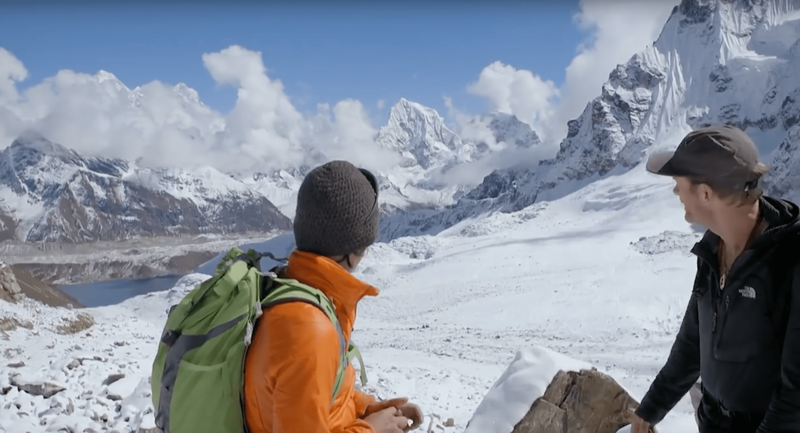 Check out the 35-minute epic exploring what it took Anker and Lama to set the groundwork on summitting one of the most technical peaks in the Himalaya. If watching this doesn’t get your palms sweaty, we’re not sure what will.